Our team has the privilege of working in a Start Up environment in an established company, never having to worry about the dreaded layoff. We are developing cutting edge Restaurant management tools and expanding into IoT devices and infrastructure. Always experimenting and evaluating emergent technologies, we are always looking to add talented developers to our team. 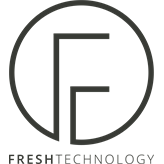 Want to get notified about new jobs at Fresh Technology?